If you are looking for a 24/7 locksmith service to assist you with emergencies, lockouts, replacements or installations of new door locks for your home, speak to one of our specialists at Locksmith Tomball for information on our wide array of services that are geared towards keeping you and your family safe and secure. We offer replacements and repairs on broken locks, rekeying and cutting for lost or damaged keys, as well as automotive and residential lockout solutions at any time of day, so that you can take solace in being properly secured. Here are but a few of the services that we have to offer. 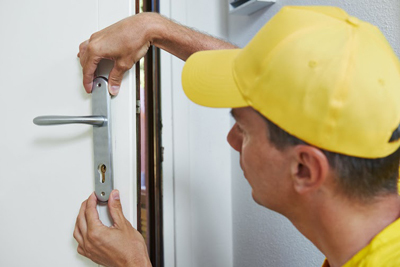 If you are looking for professional assistance with installing a new lock on your interior or exterior doors at home, our highly-trained smiths are here to assist you. We will provide you with a wide range of choices for locks that best suit your needs and budget, and will get to work installing them with professional accuracy and care. With our assistance, you can be sure that the job is done just right, so that you can have confidence in the security measures of your home. We can also help you with properly maintaining and lubricating your locks, so that they keep protecting your home for longer. When you need to have an old or broken lock replaced in your home, our locksmiths are here to assist you with getting it done right. A broken lock will do no good for your home’s security, so if you have one, speak to us about having it repaired or replaced as soon as possible. If you have lost your front door key, your problems might go further than a minor inconvenience, a lost key can also be a serious risk to your home. So, speak to us about having your lock rekeyed, or simply having the key replaced if need be. Being locked out of your home or car at any time of the day or night doesn’t have to be a stressful affair, not when our team of smiths is here to help. We offer 24/7 locksmith services for both residential and automotive lockouts, meaning you can find assistance with the matter even in the middle of the night, on weekends or public holidays.